All the face painting tips are taken from well known face painting experts, and include advice for setting up your face painting business. 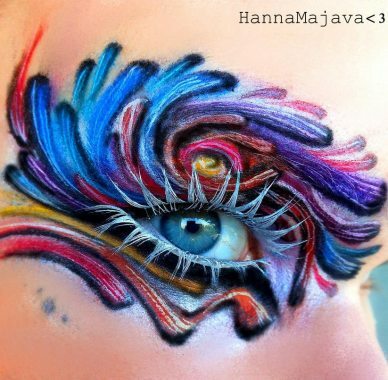 Here you can find some of the best advice for all face painters, whether they are beginners or experts in the face painting field. Use appropriate cosmetics with the right ingredients Be alert as to what products you buy. “Non-Toxic” does not mean “safe for skin.” Acrylic craft paints, watercolor markers, and pencils are not designed for use on the skin . Markers can take a very long time to wash off. If the product reads, "washable", it will refer to fabric, and not the skin. Examples of safe brands include, (Snazaroo, Wolfe Brothers, Fardel, Paradise,Mehron, Kryolan, and Ben Nye). With quality brands, one does not have to use much to get the good job done!. When it comes to glitters, only the cosmetic grade glitters, are safe for skin use. These are normally found in the makeup section of the store, NOT the craft section. The safe glitters for face painting consist of polyester and are non-metallic, according to FDA complaints. There rest, which often contains metallic ingredients, are not safe for use on the skin. Using the correct cosmetics is probably one of the most imperative face painting tips to adhere to. Contrary to popular use, alcohol is definitely NOT an efficient sanitizer for neither brushes, nor sponges, as it can spread bacteria if used in small amounts. Anyone with a contagious illness, such as flu, should not be painted at all. Even those who have open sores, wounds, or acne, must also avoid being painted, as the paint may, and most likely will, irritate the skin. In such cases, perhaps it will be a good idea to suggest that another area, perhaps the arm, can be painted, or offer them a sticker instead. For health purposes, washing your hands between every customer, will help to keep you healthy. Use baby wipes or a hand sanitizer, such as Purell. This is one of the very good face painting tips that could spare you numerous unwanted agonies. Every child must be examined, as they sit in your chair. Painters with long hair should tie their hair in a ponytail or braid, to prevent possible contamination. Depending on whether or not you sit or stand while painting, will determine your ‘comfort focus’. Be certain that your chair will be more than comfortable for amount of time you will be using it before breaks. If you will be standing, then supportive shoes, will be an asset to you. It is things like these that will help to protect your back, as it is very easy to do long-term damage. To help avoid repetitive-stress injuries, arrange your space that the very least amount of repetitive stretching, twisting, and bending can occur. Make good use of breaks in between every 3 or so customers to stretch. You might not have even considered insurance for your business yet, however it does remain an essential part of the face painting tips, which must not be postponed! By purchasing a face-painting insurance, both client and face-painter can be reassured of security in the service offered, and advertised. If you do not have your own, then you must make sure that the venue for the event covers you and gives you indemnity against claims. The faces to be painted should ALWAYS be clean. Paint applicators and brushes must be cleaned after every child, using an appropriate detergent and fresh running water. Paint applicators and brushes must not be stored, washed neither rinsed in a container of stored water. Children with rashes on the face should not be painted. As said before, rather offer a sticker or arm paint instead. Generally speaking, the average face and design can be completed three easy steps. Step 1: Apply the base colour/colours with a wedge sponge. Use the lighter colours before the darker ones. Step 2: Draw the picture or details with your brushes and then colour it in. Step 3: End with finishing details, such as glitter. a) Set up quickly, fill a brush with paint and ask, “Who is the birthday person?” That child receives a quick painted 1 on their forearm or hand. b) Ask who the brother or sister is of the birthday person? Those get 2, and Only then, do put numbers on randomly for the rest of the children. Put the child's costume on BEFORE you start to paint! It will help prevent silly smudges and possibly doing it all over again. Start with a base. Though it may seem like wasting valuable makeup, it isn’t. The base actually makes your face paints go further, as well as looking that much better. Believe it or not, but it is easier to remove the face paints if you started off with base. Of all the face painting tips, this one is well worth remembering, so that you can bring out the best. Use a makeup pencil to draw your design on the base. Stipple sponges are the face painter's best-kept secret. Use them for interesting effects. 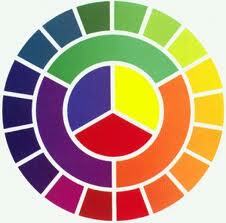 Colour powder is great for finishing a design with a sheen. It is not necessary to paint the entire face. Cheek designs are tremendously pleasing. They also keep the line moving, when the time limits you. A very easy way to make the minutes count, is to STAMP designs. You can stamp a design on the child's face and colour it in. STENCILS are just as great. Sponge on the colours over the plastic stencils, and your design is complete! Graftobian is known for these products. The most repeated mistake in face painting is that not enough paint is loaded on the brush. It should be from the tip to the head. Hopefully these face painting tips will encourage you not to make the same mistake yourself. One of the favourite face painting tips that one seldom thinks of while doing this research, is to display your paints as a colour palette. Arrange your palette to closely suit the picture on the right. It will help you to learn which colours go best with each other, and which colours can make another ‘POP’, as they say in the face-painting world. 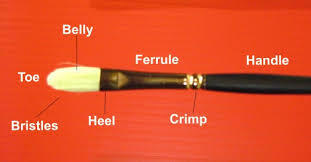 "Round Brush: This is the type of brush you will use more often when painting. Almost all of my brushes are rounds in various sizes because these brushes give you the ability to vary your line width and come to a sharp point giving you clean lines and the ability to make easy teardrops and dots. Most full face designs can be accomplished by using just sponges and round brushes. Size 4 is probably the most useful size." "Flat Brush: These brushes are most useful when you need to cover a large amount of space with a brush (for example, when body painting.) These brushes create a broad, wider brush stroke usually without any variation in width and when turned on its side it will produce a thinner brush stroke. I use flat brushes most on snakes and for split cake designs such as rainbows." "Filbert Brush: A filbert is the same as a flat brush but with rounded edges. These brushes are often used for teardrops, flower petals, and other lines when a varied thickness is desired; creating both thin and broad strokes easily." "Liner Brush: These brushes are round brushes in size 0 or 00. They make it much easier to do the tiny details necessary in a lot of designs; especially detail work. I like to have a few of these in my kit because they are so useful!" Synthetic Fiber: When purchasing these brushes, be certain to find the quality, slightly more expensive fibres, as the slightly cheaper synthetic brushes can come with problems soon, such as separating fibers or an inability to return to its original form. Natural Fiber: The natural hair bristles have a wonderful ability to retain their fine point, and can hold more loaded paint. “Natural” fibers obviously come from animals and are often, if not always, obtained from their carcasses.. Keep this in mind, if humane treatment of animals is important to you. The right brushes are vital to our face painting tips. Both these types of fibers can be great to work with, if used well. Personal preference, as well as the personal skill will determine your decision in all your face-painting purchases, however, the R4 ox hair brush is a good choice for beginners. Super Face Painting Tip: For an online face painting course, you can Register with FABA-TV, for great video instructed self learning. Unlimited access to the entire FABAtv class library with over 90 hours of learning, and various subscription options. 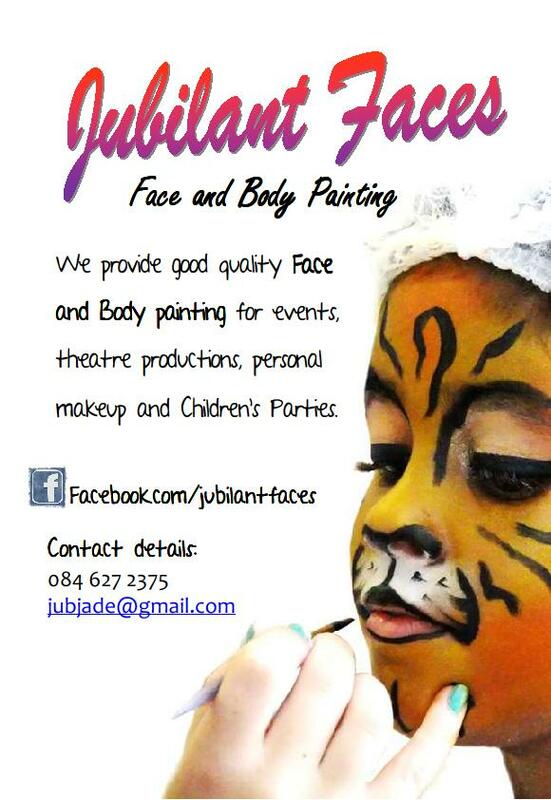 Here are some vital and wonderful face painting tips for your business! Is my website user friendly, that a customer could find the information he/she is looking for within the first 3 minutes? Is my website of good quality, that the headings, the tabs, the information and images are readable, clear, concise and applicable? Is it easy for a customer to pay a deposit? Is it easy for me to set up? Would people be able to watch me work, or is my setup an obstruction? Work out of a photo board or book. Less designs in your book or board means more familiarity. Only put designs in your book or board that you can paint in three to five minutes. Specify what you do and don’t do on your website and brochures/pamphlets, eg. ‘No Cheek Art’, or ‘No Clown Entertainment’. Don’t bring everything to every event. Only what you will need for the particular theme, if there is one, or for you particular planning. One of the under estimated face painting tips is to always have a mirror. Marketing-Keep brochures, and pamphlets about your business and rates where people can find it, that they can take it home, such as on a table or counter, or include it in party packs for adults. Feedback- Create a commentary space on your website, for customers to give honest feedback. If it’s bad, fix it it. If it’s good, repeat it. Learn-Keep developing your skills and techniques by taking courses, and competing in applicable competitions. If you have blog of some sort, update it regularly. It spells poor management when one reads the latest blog, coming from 2 years ago. You can use anything to market yourself. It is a good idea to take a photo during and after every set of customers, because it gives you the opportunity to advertise. For example, you can have your details on the back of the mirror they use to see their faces, making it visible in the photograph. Or maybe you want to give a bib for the clients to wear to protect their clothing, while they are being painted. The bib can have the business name on it. Whatever photos you may take, you might as well include information, like your website address, and business name. Practice skill in Time Management. To obtain customers, you must be able to step in the customers' shoes, in order to attract them to your business. As a customer, you want professionalism, high quality, good service, friendliness, clean and tidy environment, and good understanding between you and the person you are giving business to. If this is so, then as a business, you must be able to present all of these things to the customer, understanding that that is what they want from you. Even shabby set-ups can be made clean and tidy. Together with your good, professional service, your clients will be happy, and return with more business. From clean, and appropriate attire, to your set up, to your mannerisms- they all do play a large part in whether or not your business will receive clients. Looking professional can be easier than you think. Make sure that your table with its containers, brushes and paints are always neat and clean. Never cause yourself to fumble for equipment. You will come across as incompetent. Do it all with suitable confidence, without being a ‘know-it-all’. 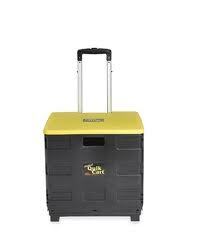 Make it easy for yourself, and get a crate, in which you can fit all your equipment in. Many painters like to use their crate as an extra chair if it is needed. Black cloths look classy, professional and appears more sanitary, as it hides paint spills. Bring the amount of clothes per event, that is, use one cloth per event, so that you may begin clean each time. Fantastic face painting tips are often shared secretly between the face-painters. One of them is to wash your dirty, paint-stricken clothes in warm water, and a cup of vinegar. Vinegar is an antibacterial, as well as an antifungal. It will help make the fabric’s colour last, without fading. Vinegar is often used to freshen the smell of fabric, carpets and clothing. 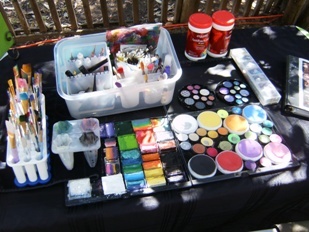 Many face-painters do not use scented substances due to the allergic reactions it may cause. Even if you do not get a salary out of your work yet, you can still keep a superb professional quality to your work, and slowly make a name for yourself in doing so. According to the professionals, it is always good to equip yourself with a range of cosmetic sponges and paint brushes, from #2 sizes to at least 3/4 inch wide. The little brushes that come with the inexpensive face-painting kits are redundant. The bigger brushes and sponges will put paint on quick and easily. At a minimum you will use: 2 -3 sponges (one for black, one for white), a wide brush, a medium round brush (size 3 or 4), and a tiny detailing brush. 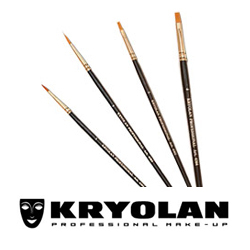 Professionals carry 10 –to 40 brushes and a variety of sponges with them. A roll of paper towels or face clothes are essential, as you can use it to pull excess water out of the brush. Black hand towels are often used, because they look cleaner. 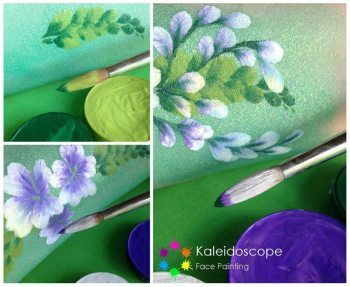 Follow this seemingly small face painting tip, and you will already look more professional. It is better to use unscented baby wipes, rather than scented. The eyes and lips are most prone to infection, and allergies. Therefore it is important to be very careful. It is best to avoid them, if you are a beginner. Fantastic designs can be shaped around these areas, without even touching them. Have some sort of picture or photo ready of the design you wish to shape on the face, so that you won’t get stuck on memory. The consent of parents are of the utmost importance. Do not paint a child’s face without it. Make the working space safe for children, as hazards can occur easily. People with delicate skins can damage their skin by removing the face paint in an unsuitable manner. Cater for these factors also, by informing all your customers of the correct way to remove the paints at home, that is to rinse off with tepid water and then wash in neutral pH skin cleanser. 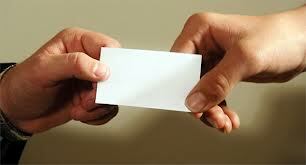 You can even include this information on a card or brochure for your business, along with business details. Is it of high quality standard? How fast they can paint? Who they have painted for? Large crowds? Theme parks? Small crowds? Corporate clients? Do they practice excellent health, hygiene, etiquette, people skills, and children skills? Are the product that they use professional and specialised face and body paints, that doesn't flake or peel off, and lasts all day? What are the example of their work, and can they provide their recent pictures done in the last few days? REMEMBER that people want to see that their children and guests are happy , and that their money was spent wisely for the occasion. If you show any hesitancy to provide them with the necessary honest information, then there’s a very good chance that they will go to someone else for face painting. Be ready to provide unexpected information or examples of your work within that same day, and you’ll be fine. If you are a novice face painter or an expert, following face painting tips regularly will help you to direct your footsteps to the larger face painting world you might want to venture in eventually.